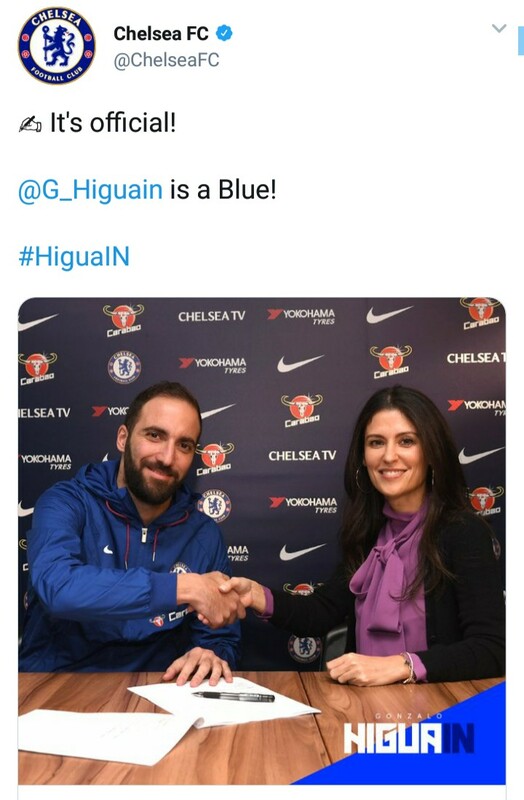 The Blues announced the arrival of the Argentina international in a statement which read: "Gonzalo Higuain has today joined Chelsea on loan for the rest of the season. "The 31-year-old striker moves to Stamford Bridge from Italian giant Juventus. "He spent the first half of the campaign on loan at AC Milan where he scored eight goals. 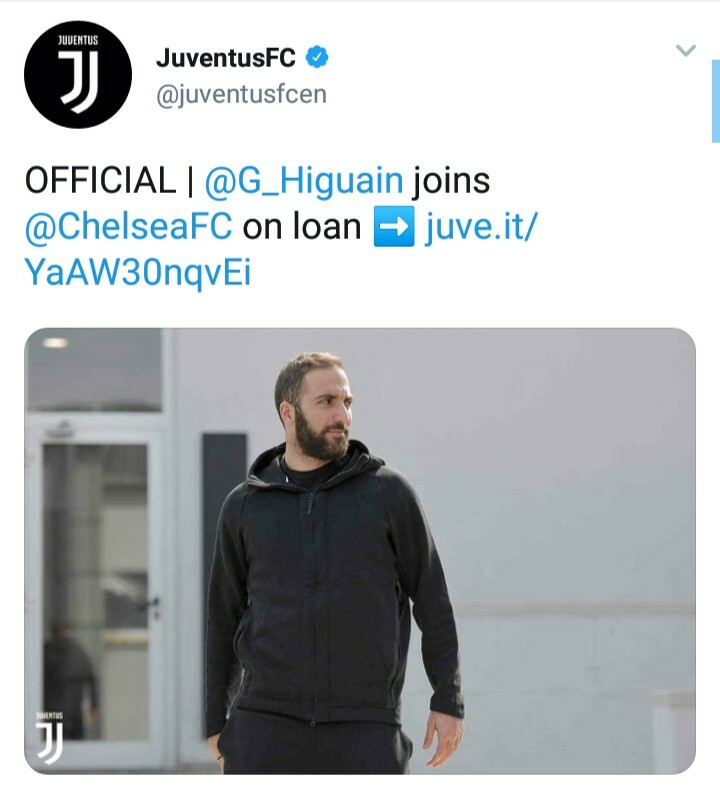 "A proven goalscorer throughout his career, and an Argentina international, Higuain arrives with a wealth of experience at the highest level having consistently shown his attacking skills during spells in Argentina, Spain and Italy. "Brave in and around the 18-yard box, as well as providing a strong aerial threat, Higuain previously played under Maurizio Sarri at Napoli in the 2015/16 season, where he finished as top scorer in Serie A with 36 goals, breaking a long-standing Italian record." WittySports report Higuain will wear the No 9 shirt. And the striker has now admitted he is eager to make a name for himself in West London. The Chelsea forward said: "When the opportunity to join Chelsea presented itself I had to take it. Chelsea director Marina Granovskaia added: "Gonzalo was our number one target in this transfer window and arrives with a proven record at the highest level. Juventus have announced the financial details of Gonzalo Higuaín’s transfer. 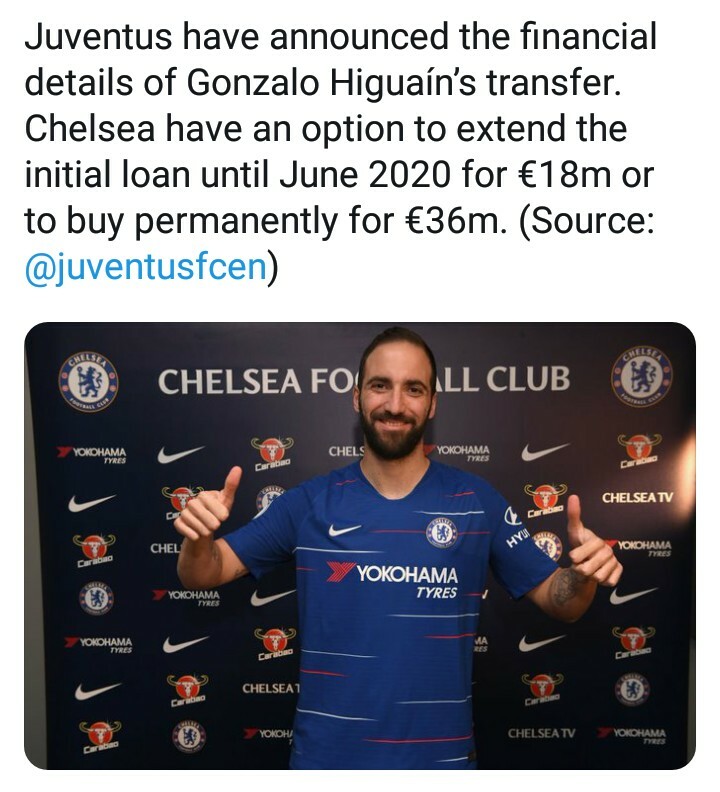 Chelsea have an option to extend the initial loan until June 2020 for €18m or to buy permanently for €36m.